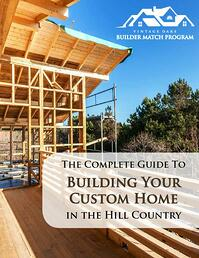 choose your Hill Country home builder and build when you're ready! Click on a builder below to learn more. When you begin looking for land at Vintage Oaks, we work with you to find a homesite that meets all of your specifications, based on your ideal size, price, timeframe, and preferences.  At Vintage Oaks, we pride ourselves on the beautiful community that has come together reflecting different building and design styles all within a natural Hill Country setting. Contact us today to learn more about our complimentary Builder Match Program where we work with you to find the best builder for your Hill Country home at Vintage Oaks. The Builder Match Program helps Vintage Oaks owners by matching them with the best builder for their needs, simplifying the process of building a home and addressing important questions and concerns for an easy and stress-free experience. Instead of blindly choosing a builder or selecting one without knowing much about them, their work, or their previous customers, Vintage Oaks land owners are able to make an informed choice based on: Builder “reviews” culled from owner feedback on factors such as quality of work, budget guidelines, timeframe from start to finish, and postcompletion customer service; and recommendations formed by the more than 500 property owners who have built a home in Vintage Oaks, including many who can provide critical insight into their recent construction experience. Simply complete the form or call 830-885-3054 to get started!